Charlie Daniels, the 82-year-old Southern Rock gentleman, is still as fit as a fiddle, with as a bonus a voice that does not get old, and carries the values of the old South up front with panache and persuasion. He demonstrates it again in this very invigorating last album. Charlie had us trot and gallop with "cowboys songs" on the previous album of 2016 "Night hawk". 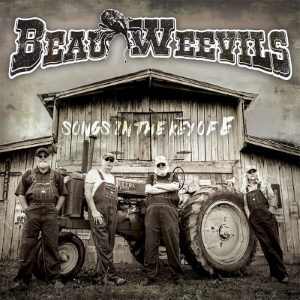 There we change our mount because on this elaborated "Beau Weevils" of ten titles, the music develops on more southerner and very enticing rhythms, with the "swamp" streak. It must be said that Charlie Daniels had the rich idea to once again work with the producer/drummer Louis James Stroud who had contributed to the production of the Charlie Daniels' albums "Simple Man", "Renegade", "Homesick Heroes", but has also worked with artists like Paul Davis, and has beaten time in the Marshall Tucker Band. Charlie still spoils us with the ultimate find to recruit Billy Crain, a master of six strings that we no longer present, like his died in 2011 brother Tommy who officiated 15 years with the C.D.B. : what more beautiful consecration for Billy Crain than being with Charlie Daniels? The rhythm section consists of the faithful Charlie Hayward (bass) and producer/drummer James Stroud. The start is done by "Geechi Geechi Ya Ya Blues", bewitching well jerked "swamp" of the bayou where the bottleneck of Billy Crain eloquently confides, with from Charlie some words in regional louisianais/cajun French. Arrives "Bad Blood", the classic "Southern Rock" well Charlie Daniels-styled that perpetuates the tradition, then we push the door of the cantina, vamos tequila, where resounds a very impressive "Mexico Again". Back in Louisiana with "Louisiana Blues", enchanting moment of coolitude with jazzy guitar notes, Charlie's drawling voice takes a side that owes to the "Night Tripper" Dr. John, then royal glissando of slide for the ears on the vibrating "Oh Juanita", followed by two stomping on "swamp boogies" "Smokey's Got Your Number" and "Mudcat". Daddy Charlie finally takes his violin to seduce us in blue note on "Everybody's Gotta Go Sometime", while Billy Crain's guitar loquacity illuminates the two end boogies, "Well All Have Some" and "How We Roll" on this album that damned makes sense : like the good wine Charlie Daniels' music improves with age.